A movie screening on the life of the slain political leader will also be shown. 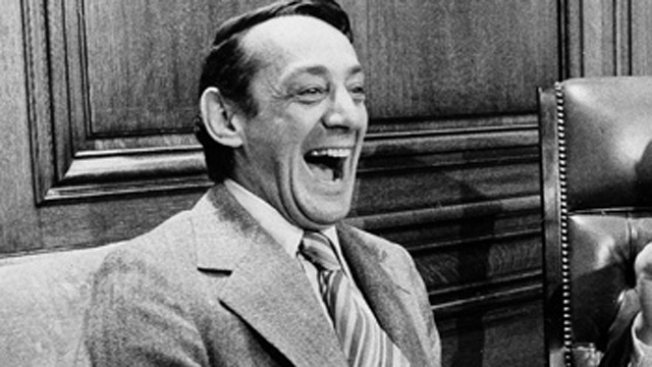 The Castro Theatre will host a film screening to commemorate the 82nd birthday of Harvey Milk. San Francisco will celebrate the 82nd birthday of the late Harvey Milk with a film screening about his life and a talk from his friend and fellow gay rights activist, Cleve Jones. Jones, who co-founded the San Francisco AIDS Foundation and was portrayed in the movie "Milk" by Emile Hirsch, will speak on May 22 before a screening of the Sean Penn-produced movie at the Castro Theatre in the city. The slain gay rights activist and former San Francisco supervisor befriended Jones in the 1970s when he worked as a student intern in Milk's office at city hall. Milk was shot and killed less than a year after he was on the job by fellow San Francisco Supervisor Dan White on Nov. 10, 1978. Tickets for the commemoration, which begins at 7:30 p.m., are on sale and proceeds will go to benefit the Harvey Milk Civil Rights Academy. Tickets can be purchased from Brown Paper Tickets or at the Human Rights Campaign store at 575 Castro St. in San Francisco.